Our Family Works for You! Since 1933. Nav System, Moonroof, Third Row Seat, Back-Up Camera, Hitch. TRD Sport trim, MIDNIGHT BLACK METALLIC exterior and BLACK interior. CLICK ME! KEY FEATURES INCLUDE Third Row Seat, Sunroof, 4x4, Quad Bucket Seats, Rear Air, Back-Up Camera, Running Boards, Trailer Hitch, Aluminum Wheels, Dual Zone A/C. Rear Spoiler, Keyless Entry, Privacy Glass, Steering Wheel Controls, Child Safety Locks. OPTION PACKAGES TRD SPORT PREMIUM PACKAGE Auto-Dimming Rearview Mirror, lamp, HomeLink Universal Transceiver, Compass, Radio: Premium Display Audio w/Nav & Entune, AM/FM CD Player w/MP3/WMA playback capability, touch-screen display, auxiliary jack, USB 2.0 port w/increased charging capability and iPod connectivity and control, hands-free phone capability, phone book access and music streaming via Bluetooth wireless technology, and voice recognition (integrated backup camera vehicle dependent), The Entune App Suite includes Bing, iHeartRadio, MovieTickets.com, OpenTable, Pandora, Yelp and Facebook Places (on CY13 audio only); real-time info including traffic, weather, fuel prices, sports and stocks. Toyota TRD Sport with MIDNIGHT BLACK METALLIC exterior and BLACK interior features a 8 Cylinder Engine with 381 HP at 5600 RPM*. WHO WE ARE This great value located at O'Brien Toyota in Indianapolis. See the difference being family-owned makes in your customer service. Our family works for you. Since 1933. Horsepower calculations based on trim engine configuration. Please confirm the accuracy of the included equipment by calling us prior to purchase. 3rd Row Seat, NAV, Sunroof, Heated Leather Seats, Rear Air, Tow Hitch. Limited trim, SUPER WHITE exterior and GRAPHITE interior. SEE MORE! KEY FEATURES INCLUDE Leather Seats, Third Row Seat, Sunroof, 4x4, Power Liftgate, Rear Air, Heated Driver Seat, Back-Up Camera, Running Boards, Trailer Hitch, Aluminum Wheels, Dual Zone A/C, Heated Seats, Heated Leather Seats Rear Spoiler, Keyless Entry, Privacy Glass, Remote Trunk Release, Steering Wheel Controls. OPTION PACKAGES SAFETY & CONVENIENCE PACKAGE outside mirror memory, Radio: Premium Display Audio w/Nav/Entune/JBL, amplifier, AM/FM CD Player w/MP3/WMA playback capability, touch-screen display, auxiliary jack, USB 2.0 port w/increased charging capability and iPod connectivity and control, hands-free phone capability, phone book access and music streaming via Bluetooth wireless technology, and voice recognition (integrated backup camera vehicle dependent), The Entune App Suite includes Bing, iHeartRadio, MovieTickets.com, OpenTable, Pandora, Yelp and Facebook Places (on CY13 audio only); real-time info including traffic, weather, fuel prices, sports and stocks, Two-Position Power Memory Driver's Seat, ALL-WEATHER FLOOR LINER PACKAGE Door Sill Protectors, All-Weather Cargo Mat, All Weather Floor Liners. Toyota Limited with SUPER WHITE exterior and GRAPHITE interior features a 8 Cylinder Engine with 381 HP at 5600 RPM*. Approx. Original Base Sticker Price: $63,700*. 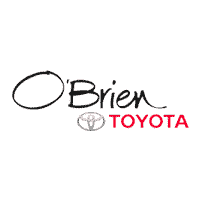 MORE ABOUT US This great value located at O'Brien Toyota in Indianapolis. See the difference being family-owned makes in your customer service. Our family works for you. Since 1933. Pricing analysis performed on 1/31/2019. Horsepower calculations based on trim engine configuration. Please confirm the accuracy of the included equipment by calling us prior to purchase. Heated Leather Seats, Nav System, Entertainment System, Third Row Seat, Moonroof, SAFETY & CONVENIENCE PACKAGE. Limited trim. SEE MORE! KEY FEATURES INCLUDE Leather Seats, Third Row Seat, Sunroof, 4x4, Power Liftgate, Rear Air, Heated Driver Seat, Back-Up Camera, Running Boards, Trailer Hitch, Aluminum Wheels, Dual Zone A/C, Cross-Traffic Alert, Blind Spot Monitor, Brake Actuated Limited Slip Differential Rear Spoiler, Keyless Entry, Remote Trunk Release, Privacy Glass, Child Safety Locks. OPTION PACKAGES REAR-SEAT BLU-RAY ENTERTAINMENT SYSTEM 9 display, 2 wireless headphones, wireless remote and rear audio system w/115V AC power outlet and RCA jacks, Wireless Headphones (2), SAFETY & CONVENIENCE PACKAGE outside mirror memory, Radio: Premium Display Audio w/Nav/Entune/JBL, amplifier, AM/FM CD Player w/MP3/WMA playback capability, touch-screen display, auxiliary jack, USB 2.0 port w/increased charging capability and iPod connectivity and control, hands-free phone capability, phone book access and music streaming via Bluetooth wireless technology, and voice recognition (integrated backup camera vehicle dependent), The Entune App Suite includes Bing, iHeartRadio, MovieTickets.com, OpenTable, Pandora, Yelp and Facebook Places (on CY13 audio only); real-time info including traffic, weather, fuel prices, sports and stocks, Two-Position Power Memory Driver's Seat. Toyota Limited with SUPER WHITE exterior and GRAPHITE interior features a 8 Cylinder Engine with 381 HP at 5600 RPM*. Approx. Original Base Sticker Price: $65,600*. WHO WE ARE This great value located at O'Brien Toyota in Indianapolis. See the difference being family-owned makes in your customer service. Our family works for you. Since 1933. Pricing analysis performed on 1/31/2019. Horsepower calculations based on trim engine configuration. Please confirm the accuracy of the included equipment by calling us prior to purchase. Disclaimer: All sale prices exclude state and local taxes, title fee and $149 documentation fee. With Approved Credit. Subject to Lender Approval. Please verify all information and options with a dealership sales representative. Dealer installed options may not be reflected in the Sale price. All vehicles are subject to prior sale. All financing is subject to credit approval.